Immerse yourself in breathtaking scenery and a gastronomical paradise with Macedon Ranges Winery Limo Tours and enjoy the best Autumn has to offer. With crisp, clear days and the spectacular Autumn foliage burnishing the landscape, now is the perfect time to book Macedon Ranges Winery Limo Tours for a decadent day of touring. 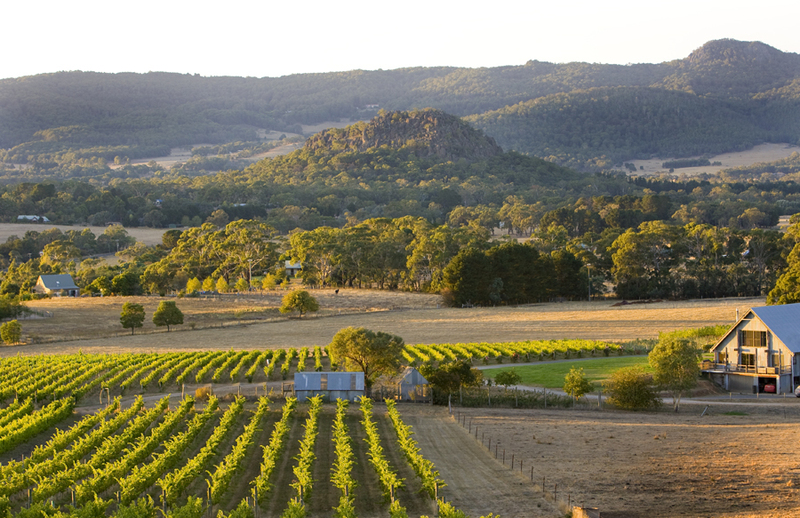 Less than an hour from Melbourne, the Macedon Ranges region covers an area of over 17 000 square kilometers. A diverse, ancient landscape provides the backdrop for some 40 wineries speckled throughout the countryside. Considered the symbolic heart of this region is the famous Hanging Rock. A former volcano and sacred Aborginal rock formation, this landmark provided the setting for the well-known book and film, Picnic at Hanging Rock. Another must is a drive down Honour Avenue with its 154 Pin Oak trees bursting with red and orange hues. With so much to see and do, the best way to explore what this stunning area has to offer is by organising Macedon Ranges Winery Limo Tours. Renowned for its native forests and iconic geography, this region also boasts a thriving artisan food and wine culture. With altitudes ranging from 300 to 800 meters above sea level, this is the coolest grape growing climate of any on the mainland. It’s also one of the oldest, with the first vineyards planted in the 1840’s and 1850’s. Many of the wineries are boutique, family owned establishments and while the region produces a limited quantity of vino each year, the quality is considered excellent. While one day will never be enough to explore the variety of cellar doors, farm gates and natural sights, Macedon Ranges Winery Limo Tours can give you taste of the terroir while travelling in style. It’s a wonderful way to celebrate an occasion or just the perfect excuse to sight-see in opulent comfort. You will enjoy a personalised tour in luxury while making memories to treasure. Contact a touch of silver today to add a touch of luxury to your next winery tour.